Featured Image: The acquitted former militants in the court lock-up at Jalpaiguri on Friday. Siliguri: THIRTY-THREE former insurgents of the Kamtapur Liberation Organisation (KLO) accused in the 2002 assassination of five CPI-M workers at Dhupguri in Jalpaiguri have been acquitted for want of evidence. The Jalpaiguri district judge today acquitted them. Those acquitted include once dreaded KLO militants such as Tom Adhikari, Milton Das, and their associates. 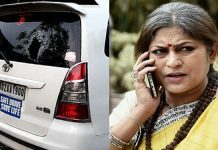 Defence counsel Abhijit Sarkar, who represented the accused in the trial said that in the charge-sheet police had mentioned 59 witnesses. During the trial, however, only 14 deposed before the court. The judge did not find merit in their statement and in the evidence that police submitted. On 17 August 2002, a gang of KLO militants had launched an armed raid the CPI-M zonal committee officer at Dhupguri. 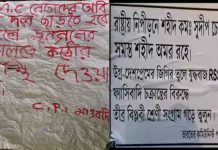 They gunned down five CPI-M workers and left 13 injured. 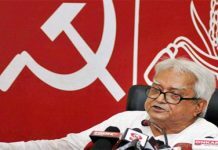 The deceased included Gopal Chaki, a Jalpaiguri district committee member of the CPI-M and a departmental head at the Jalpaiguri Zilla Parishad. Police subsequently lodged an FIR and filed charge-sheet against 39 KLO militants. Of them, the trial was conducted for 33 accused as the remaining ones have either died or are absconding. These 33 were arrested during the Operation All Clear in Bhutan in 2003 and were lodged in jail for several years. They were released on bail in the past few years after their filed affidavit saying that they were no more with KLO and will not take to violence ever again.